Australian authorities have been working to come up with a comprehensive response to terrorist threats. 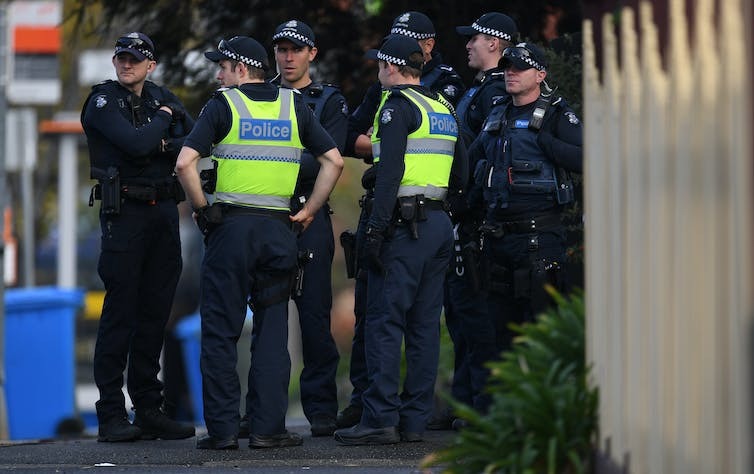 The recent terror attacks in London and Manchester have raised concerns about whether authorities here in Australia are doing enough to combat terrorism. These events have led to accusations that police and security agencies are not being upfront about the threat of terrorism – in particular Islamist terrorism. It has been suggested they are in denial about the link between terrorism, refugees and Islam, and are too concerned with maintaining good relationships with the Muslim community. Much of this commentary overlooks some key points. First, the threat we face from terrorism in Australia is completely different from the UK or the rest of Europe. These countries face a higher number of terrorist threats from returning foreign fighters, and more people on terrorist watchlists. This is not to diminish the threat we face domestically. Hence Australian authorities have on all fronts been developing comprehensive responses. These include the introduction of laws targeting foreign fighters, preventive legislation aimed at detained terrorists, deradicalisation programs in prisons, the establishment of state-based diversion teams that target those identified as at risk of radicalising to violent extremism, counter-terrorism hotlines and various local projects supporting grassroots efforts to tackle radicalisation and violent extremism. Some commentators may argue we don’t actually know if these approaches or programs work, or that these have failed to prevent terrorism. But it is early days and some programs have only recently been established. Tackling violent extremism is an evolving issue. But there is much evidence to indicate Australian authorities’ strategies hold great promise. When an individual commits a terrorist act – particularly someone previously known to police – it is a hard reminder of the limits of counter-terrorism efforts. It should be an opportunity to reflect on whether we have the right mix of legal and preventive responses, while remembering that legal responses based on detection and detention have their limitations. If we really want to be able to tackle violent extremism, we need to have an open debate and deal with some difficult issues. As I have argued before, we need to consider a range of causes. Singling out and overemphasising one – such as religion or refugee intakes from Muslim countries – only inhibits a comprehensive policy response. Leading academics in terrorism research have argued that we need to take the role of faith-based ideology seriously in understanding terrorism and its prevention. This is because groups like Islamic State take it seriously. They emphasise ideological rationalisations to justify their actions and attract fellow Muslims to their cause. But this does not mean it is the most significant factor in leading Muslims to commit acts of terrorism. Likewise, just because a number of terrorist episodes in Australia have involved individuals with a refugee background, that does not mean one causes the other. In other words, correlation doesn’t equal cause. Attacking the head of ASIO as somehow being in denial about the link doesn’t not help us get any closer to how we can best tackle the threat of violent extremism. There are multiple pathways into and away from violent extremism. For instance, research has shown that peers, associates and families play key roles in the radicalisation process. That is, they help reinforce personnel grievances and the jihadist ideology, providing the intent and capability to commit acts of terrorism. This is why former prime minister Tony Abbott’s comments, made after the London attacks, that “officials were too concerned about maintaining relations with the Muslim community” or that “Islamophobia, unlike terrorism, has never killed anyone” are mystifying. The police maintaining good relations with the Muslim community is essential to the passing of intelligence to police and in helping to identify youth at risk. Episodes of Islamophobia only further alienate the Muslim community. Making Muslims feel like they don’t belong is an identified pathway into violent extremism. It’s important to keep in mind that one of the aims of terrorism is not just to take human life, but to instil fear in the broader population. The loss of life to terrorism understandably provokes a demand for a forceful response. Tough language like “enough is enough” is important in offering public reassurance governments are taking the issue seriously. But we have to keep in mind that a goal of terrorism is to provoke an overreaction and create divisions in society. Jihadi ideologue Abu Bakr Naji in his treatise the Management of Savagery – the textbook that has guided much of Islamic State’s brutality – stated that this should be a key goal of violent jihad. We should be mindful of not falling into this trap.